A moist, soft muffin, filled with blueberries, with a crispy streusel top. 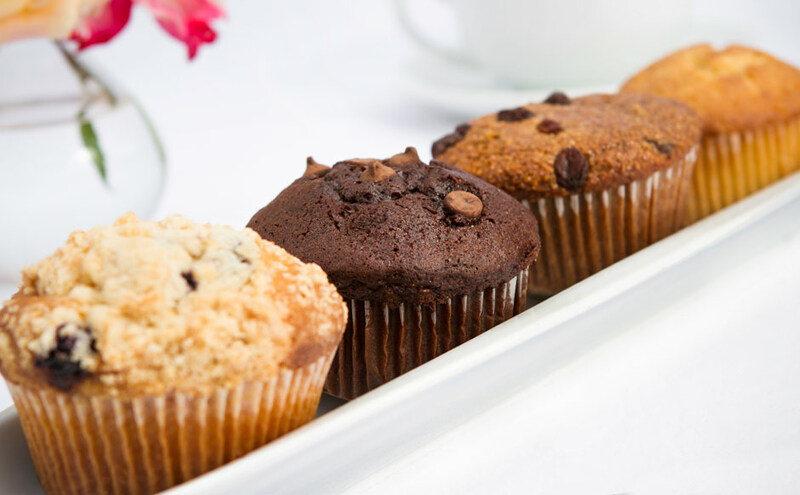 A delicious source of fiber, this muffin is made with unprocessed wheat bran, molasses, and buttermilk. A moist, soft muffin, filled with fresh, crushed bananas. A moist, soft, chocolate muffin, stuffed with chocolate chips.